The British Gazette » The Treaty of Lisbon: A Constitutional Revolution by Stealth. By Dr Anthony Coughlan. With the coming into force of the Lisbon Treaty on 1 December 2009, members of the European Parliament, who previously had been “representatives of the peoples of the States brought together in the Community “(Art 189 TEC) became “representatives of the Union’s citizens” (Art 14 TEU). This change in the legal status of MEPs is but one illustration of the constitutional revolution being brought about by the Lisbon Treaty. For Lisbon, like the EU Constitution before it, establishes for the first time a European Union which is constitutionally separate from and superior to its Member States, just as the USA is separate from and superior to its 50 constituent states, or as Federal Germany is to its Laender. The 27 EU members thereby lose their character as true Sovereign States. Constitutionally, they become more like the regional states in a multinational Federation, although they still retain some of the trappings of their former sovereignty. Simultaneously, 500 million Europeans become real citizens of the constitutionally new post-Lisbon European Union, with real citizens’ rights and duties with regard to the EU, as compared with the merely notional or symbolic EU citizenship they are assumed to have possessed up to now. Most Europeans are unaware of these astonishing changes, for two reasons. One is that, with the exception of the Irish, they have been denied any chance of learning about and deliberating them in national referendums. The other is that the terms “European Union”, “EU citizen” and “EU citizenship2 remain the same before and after Lisbon, although Lisbon changes their constitutional content fundamentally. The Lisbon Treaty is therefore a constitutional revolution by stealth. Lisbon’s predecessor, the Treaty Establishing a Constitution for Europe, which the peoples of France and Holland rejected in referendums in 2005, sought to establish a new European Union in the constitutional form of a Federation directly. Its first article stated: “This Constitution establishes the European Union”. That would clearly be a European Union with a different constitutional basis from the EU which had been set up by the Maastricht Treaty 13 years before. What we called the “European Union” pre-Lisbon is the descriptive term for the totality of legal relations between its 27 Member States and their peoples. This encompassed the European Community, which had legal personality, made supra-national European laws and had various State-like features, as well as the Member States co-operating together on the basis of retained sovereignty in foreign policy and defence and in crime and justice matters. Lisbon changes this situation fundamentally by giving the post-Lisbon Union the constitutional form of a true supranational Federation, in other words a State. The EU would still lack some powers of a fully-developed Federation, the most obvious one being the power to force its Member States to go to war against their will. It would possess most of the powers of a State however, although it has nothing like the actual tax and spending levels of its constituent member states. Firstly, the Treaty establishes a European Union with legal personality and a fully independent corporate existence in all Union areas for the first time (Arts.1 and 47 TEU). This enables the post-Lisbon Union to function as a State vis-a-vis other States externally, and in relation to its own citizens internally. Secondly, Lisbon abolishes the European Community which goes back to the Treaty of Rome and which makes European laws at present, and transfers the Community powers and institutions to the new Union, so that it is the post-Lisbon Union, not the Community, which will make supranational European laws henceforth (Art 1 TEU). Lisbon also transfers to the EU the “intergovernmental” powers over crime, justice and home affairs, as well as foreign policy and security, which at present are not covered by European law – making, leaving only aspects of the Common Foreign, Security and Defence Policy outside the scope of its supranational powers. The Treaty thereby gives a unified constitutional structure o the post-Lisbon Union. Thirdly, Lisbon then makes 500 million Europeans into real citizens of the new Federal-style Union which the Treaty establishes (Arts. 9 TEU and 20 TFEU). Instead of EU citizenship “complementing” national citizenship, as under the Maastricht Treaty-based EU (Art 17 TEC) – which makes such citizenship essentially symbolical – Lisbon provides that EU citizenship shall be “additional to” national citizenship. This is a real dual citizenship-not one of two different States, but one of two different levels of one State. One can only be a citizen of a State and all States must have citizens. Dual citizenship like that provided in Lisbon is normal in classical Federations which have been established from the bottom up by constituent states surrendering their sovereignty to a superior federal entity, in contrast to federations that have come into being “top-down” as it were, as a result of unitary states adopting federal form. Examples of the former are the USA, 19th Century Germany, Switzerland, Canada and Australia. Lisbon would confer a three-fold citizenship on citizens of Federal Germany’s Laender. Being a citizen means that one must obey the laws and give loyalty to the authority of the State one is a citizen of – in this case of classical Federation, of the two state levels, the federal and the regional or provincial. In the post Lisbon EU the rights and duties attaching to citizenship of the Union will be superior to those attaching to one’s national citizenship in any case of conflict between the two, because of the superiority of Union law over national law and Constitutions (Declaration 17 concerning Primacy). The EU will be constitutionally superior even though the powers of the new Union come from the Member States in accordance with the “principle of conferral”(Art. 5 TEU). Where else after all could it get its powers from? This is so even though the Member States retain their national Constitutions and their citizens keep their national citizenships. The local states of the USA retain their different state Constitutions and citizenships to this day, even though both are subordinate to the US Federal Constitution in any case of conflict between the two. The tenth amendment to the US Constitution embodies the principle of conferral when it lays down that powers not delegated to the US Federation “are reserved to the states respectively or to the people”. Likewise, it is not unusual for the Constitutions of classical Federations to provide for a right of withdrawal for their constituent states, just as the Lisbon Treaty does (Art. 50 TEU). Josef Stalin’s constitution of the former USSR incorporated this principle. The existence of these features in the Constitution of the post-Lisbon Union does not take away from its federalist character. Under Lisbon population size will in turn become the primary basis for EU law-making, as in any State with a common citizenry. This will happen after 2014 when the Treaty provision comes into force that EU laws will be made by 55% of the Member States – currently 15 out of 25 – as long as they represent between them 65% of the total population of the Union. Germany and France together have one third of the EU’s population. European Council by their Heads of State or Government and in the Council by their governments” (Art.10 TEU). Contrast this with what is stated to be the foundation of the Maastricht Treaty-based EU: “The Union is founded on the principles of liberty, democracy, respect for human rights and fundamental freedoms, and the rule of law, principles which are common to the Member States (Art.6 TEU). The constitutional structure of the post-Lisbon EU is completed by the provision which turns the European Council of Prime Ministers and Presidents into an “institution” of the new Union (Art.13 TEU), so that its acts or its failings to act would, like those of the other Union institutions, be subject to legal review by the EU Court of Justice. As regards the State authority of the post-Lisbon Union, this will be embodied in the Union’s own legislative, executive and judicial institutions: the European Council, Council of Ministers, Commission and Court of Justice. It will be embodied also in the Member States and their authorities as they implement and apply EU law and interpret and apply national law in conformity with Union law. Member states will be constitutionally required to do this under the Lisbon Treaty. Thus EU “State authorities” as represented for example by EU soldiers and policemen patrolling our streets in EU uniforms, will not be needed as such. Although the Lisbon Treaty has given the EU a Federal-style Constitution without most people noticing, they are bound to find out in time an react against what is being done. 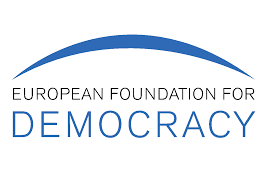 There are no European people or demos which could give democratic legitimacy to the institutions the Lisbon Treaty establishes and make people identify with these as they do with the institutions of their home countries. This is the core problem of the EU integration project. Lisbon in effect has made the EU’s democratic deficit much worse. It is hard to imagine that this will not make struggles to re-establish national independence and democracy and to repatriate supranational powers back to the Member States the central issue of European politics in the years and decades ahead.